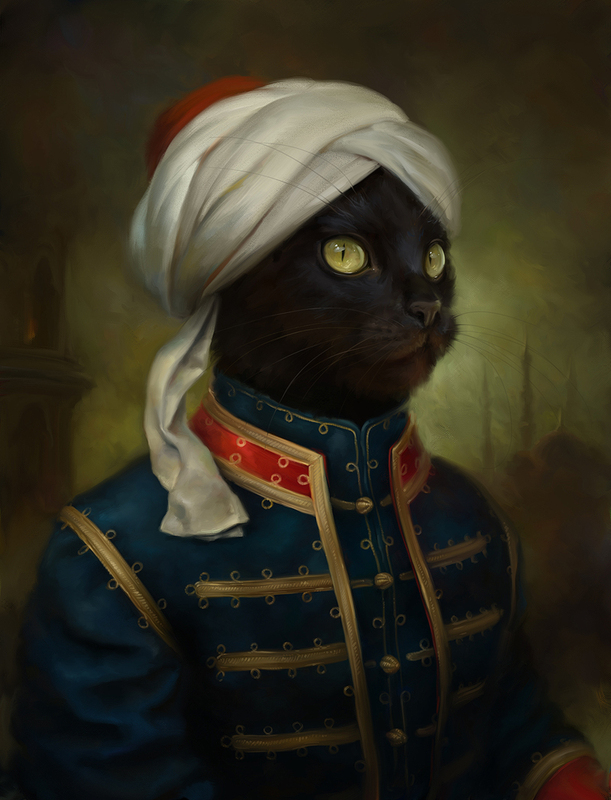 Eldar Zakirov aka Darth Eldarious is a 30-year-old professional digital artist coming from Tashkent, Uzbekistan. 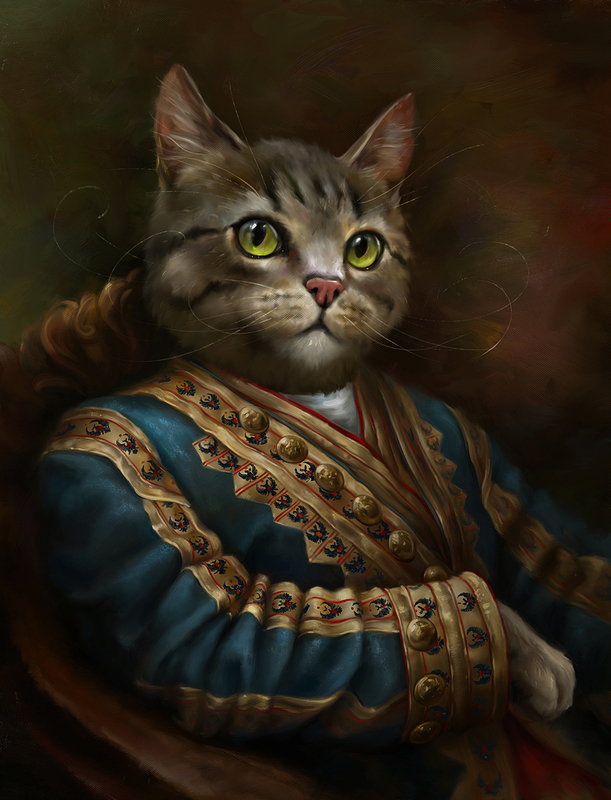 His latest artworks presents a series of digitally painted cats, proudly posing in different royal attires for the Hermitage Magazine. 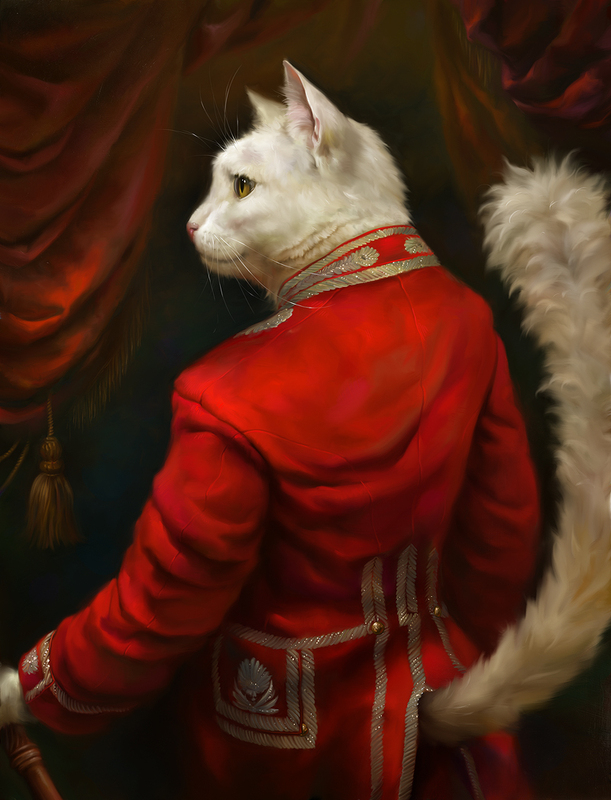 The cats look so at home in their outfits and each piece is so realistic that one might even be tricked into thinking these are actual oil paintings! 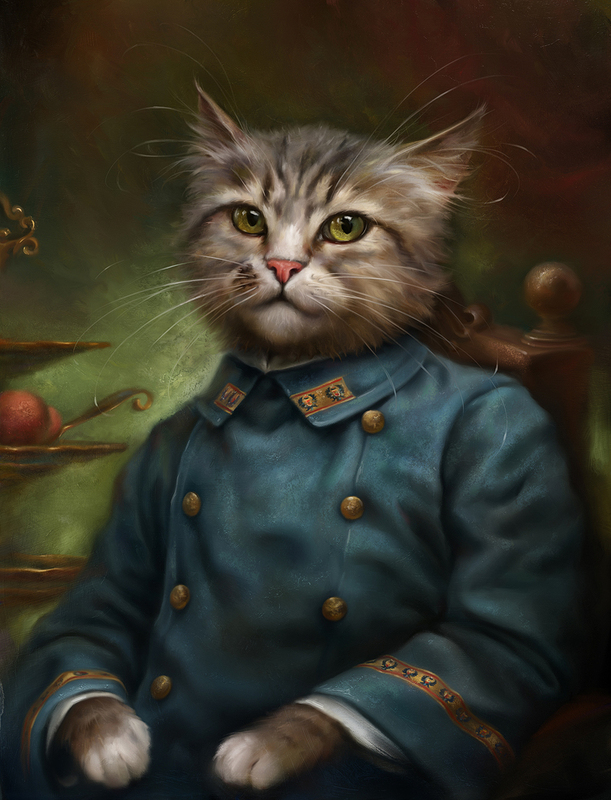 Every single detail, starting with the fabrics of the outfits and ending with the background of the paintings is very carefully chosen to represent the era appropriately. 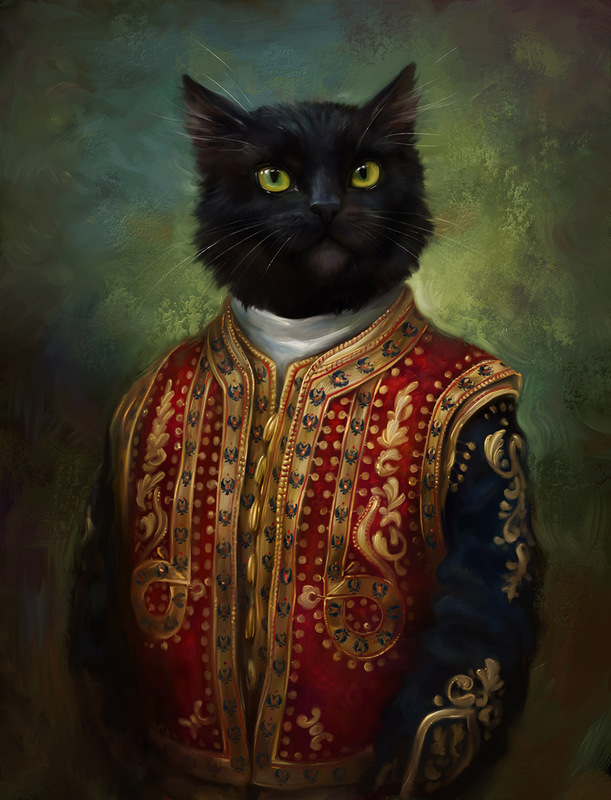 Throughout the course of history, cats could often be seen in royal or otherwise important surroundings: starting with their divine positioning in Ancient Egypt, and ending with the muse status for the most famous artists. 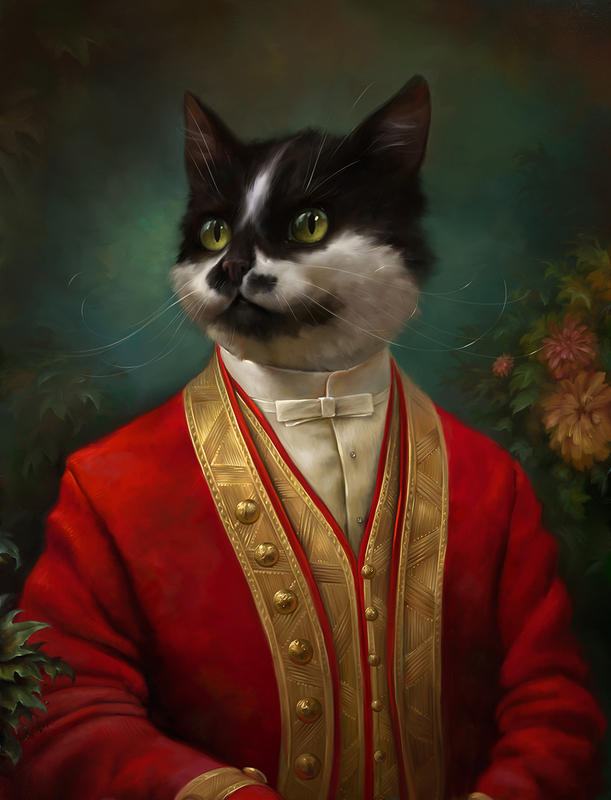 Clearly they’re the best pet models to pull off these royal tuxedos!